The method we use to grind our wheat involves the partial removal of the outer layer (the bran), keeping the germ with the richness of its ingredients. The grain is grinded in stone mills, where the big flint wheels crush it without reheating or refining. The result is a type of flour that, not only preserves all the organoleptic qualities, but also contains richer in nutrients such as minerals, vitamins and protein of a better quality. The flour grinded with stone is full of flavour and very aromatic, rough to the touch and has a light brown colour that will be later passed to the bread. Because the germ of the wheat has been retained in the interior, the product is fresh, and therefore has a short expiration date that makes it not feasible for automated processes. Our “Tradition”, “Sourdough” and Other Cereals breads are made with stone grinded flour. 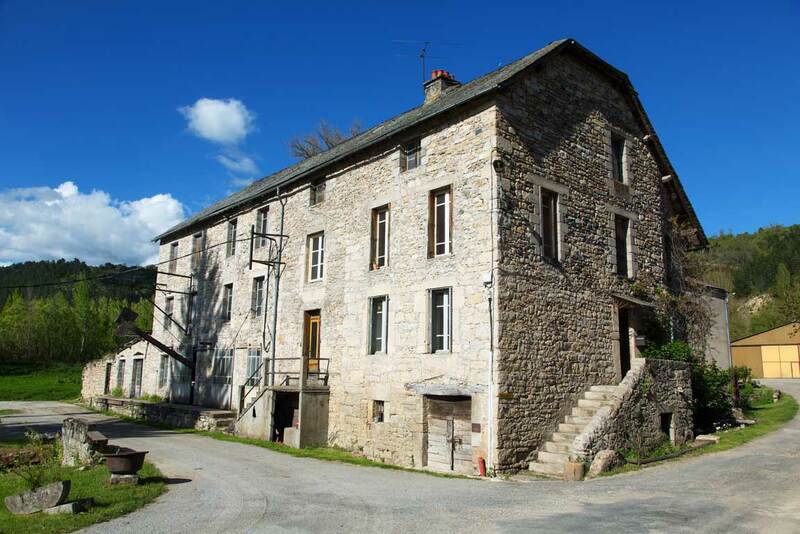 The “Mouline de Colagne” is a beautiful mill on the river Colagne in France. There are historic antecedents written in 1261 describing the sale of the mill from the King of Aragon to the King of France. With its flint stone wheels and in perfect harmony with the most advanced informatic management systems, the flour is grinded just as centuries ago, without hurry or excessive temperature.